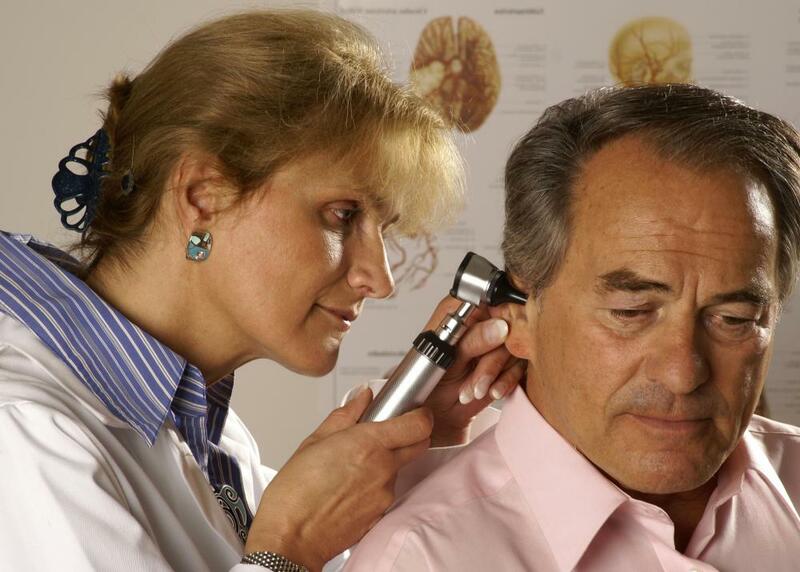 An otolaryngologist is trained to deal with problems associated with the ear. An otolaryngologist examining a child's throat. 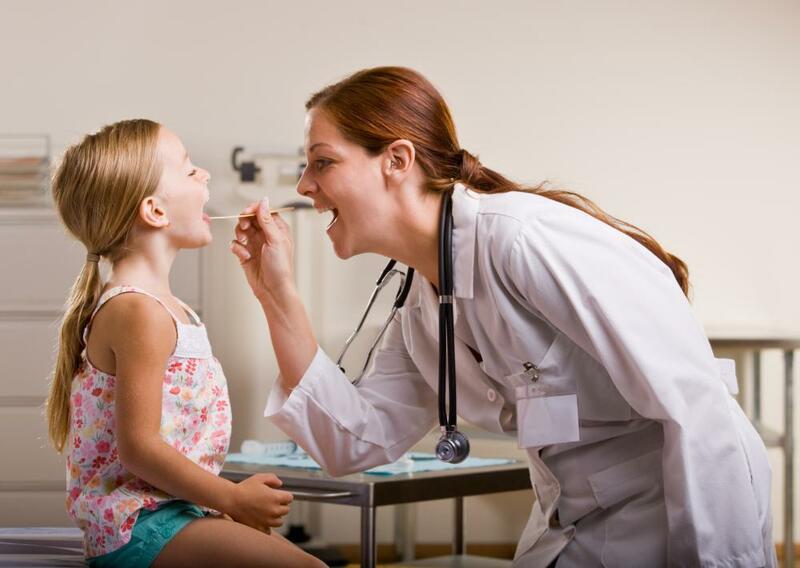 To become an otolaryngologist a person will need a college education, medical school training, and then further specialty in an otolaryngology residency. Many ear nose throat doctors or ENTs also participate in fellowship programs after they have become board-certified otolaryngologists and these programs range depending on interest. It usually takes about 13 years to become a basic ENT who will be able to employ both medical and surgical techniques. Anyone interested to become an otolaryngologist or any other type of physician can begin preparations at the high school level by getting good grades in advanced math classes like trigonometry and calculus, and by succeeding in science classes, especially biology and chemistry. Good all around grades are needed, too, to get into a good college. Once at the college level, focus in undergraduate studies continues to be on science. Many people major in pre-med, but there are others who might become majors in biology, chemistry, biochemistry or microbiology. Continuing to succeed in science classes is vital because it helps people prepare to take the Medical College Admission Test, and these scores along with grades are used to determine whether people will be accept to medical school. Medical school combines three years of intense study of medicine with a fourth year internship where students get to practice medicine in more in depth ways. During the internship people can decide if they would like to become an otolaryngologist when they get a chance to rotate through these studies. Most people have made up their minds about the next direction before this time, and have decided whether they’d like to specialize or simply become board certified as a general physician. Where interest to become an otolaryngologist is still strong, people will apply for residencies in their year of internship. They will need to evaluate their own strengths to determine if this is the right specialty. Since otolaryngology is partly surgical, doctors will need steady hands and precision along with medical curiosity to be successful in this field. An ENT residency typically takes about five years to complete, but many people who want to become an otolaryngologist decide they’re interested in a subspecialty. Some subspecialties include facial plastic and reconstructive surgery, pediatrics, or head and neck surgery. Subspecialty fellowships range in length but most are about two years long. Once this training is completed or simply after residency, a doctor can become a board certified ENT or might possess board certification in otolaryngology and in an additional field. Board certification typically involves application, proof of training, and exams.